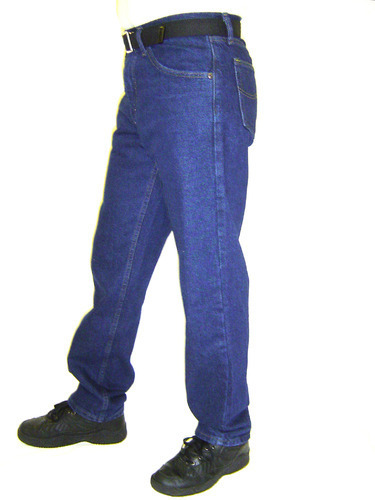 Backed by highly qualified workers, we have come out as an affluent company providing Blue Denim Jeans. The mentioned garments are crafted and fabricated utilizing innovative technology and superb quality fabric by our talented workers. These offered items are accessible for our customers in a wide range of designs, colors, sizes, styles and patterns as per the precised necessities. Since its establishment S.K. Garments has become instrumental in manufacturing, trading and supplying a wide series of Non Denim Jeans, Denim Jeans and Stretchable Jeans. The range of apparels is fabricated using first class quality yarns, fabric and other allied material, procured from some of the reliable vendors of the market. We guarantee to develop the products in accordance with the global quality standards. Our series of garments is highly appreciated liked by the customers for its fine finish, skin-friendliness, alluring patterns and designs, shrink resistance, perfect fit & stitching and color-fastness.